That is a really cool looking horse!!! Woah, cool! 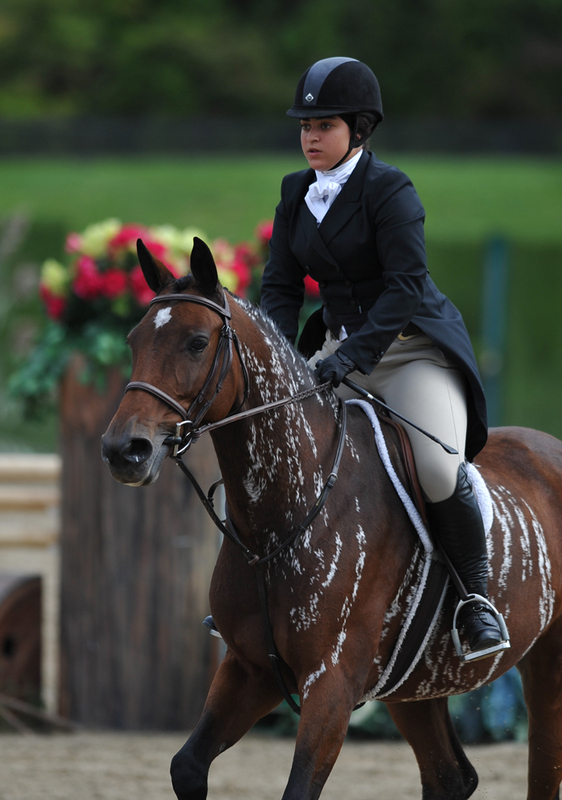 At a quick glance it just looks like the horse is super washed out and foamy. Love it! 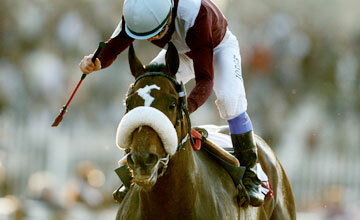 Credit to Bloodhorse for first image. Cool. Somewhat Catch A Bird-ish. Serious bling on this gelding. Top Notch Tonto, won a stakes race today. Kewl. A belly spot, too! She was a real hard trier too! I always played her in my bets. Last edited by The Tin Man on Sun Oct 06, 2013 12:50 am, edited 1 time in total. 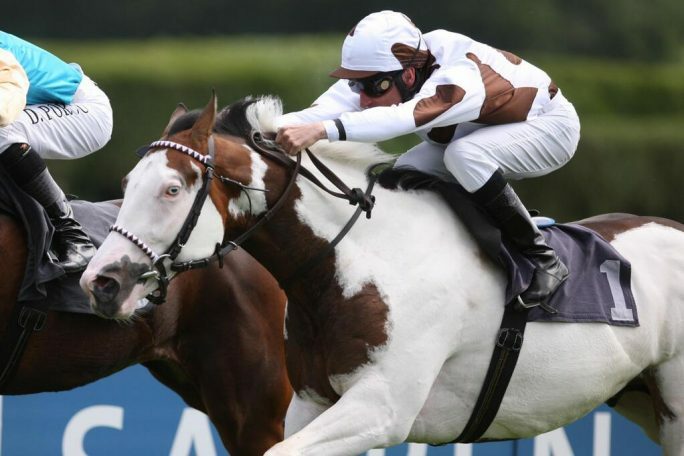 I don't know if this guy made it on the last page, but Silvery Moon is a 2 year old racing in Germany and France. You have to love his color. Here is one of his maiden races, someone took a bad spill at the break but he ran a decent second. Retrospectiv wrote: Serious bling on this gelding. Pretty darn close to a textbook sabino there. 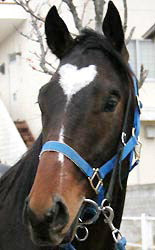 Barbaro06 wrote: I don't know if this guy made it on the last page, but Silvery Moon is a 2 year old racing in Germany and France. You have to love his color. Here is one of his maiden races, someone took a bad spill at the break but he ran a decent second. Link only takes you to Youtube main page. He looks like a paint horse and was very easy to follow throughout the race! Here is a picture of him. 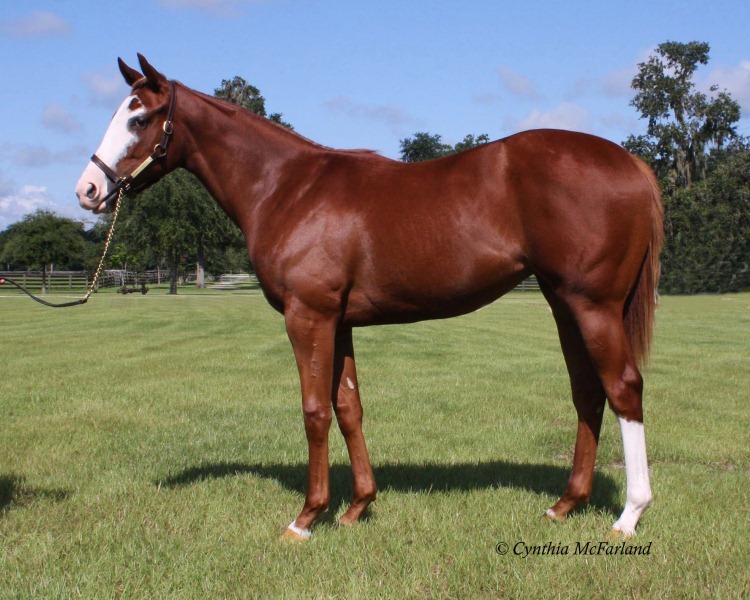 Paint Us A Picture, a 2-year-old colt racing in Queensland, Australia, is making quite a name for himself, and it’s for more than just his racing ability. The colt, like Germany’s Silvery Moon, is a rare overo Thoroughbred that was bred by Winning Colours Farm in Queensland. 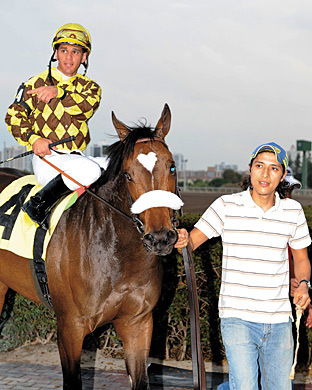 The colt won his first start, a 970 meter (4 furlongs 180 yards) barrier trial, on Oct. 8 at Callaghan Park.